Is the sky falling for staffing agencies in this world of automation, artificial intelligence and digital competition? Not yet, according to a report published by Bullhorn, a cloud-based customer relationship management and operations solutions provider. However, it may not hurt to weigh the pros and cons of harnessing one or all of these technologies and consider the previously unthinkable: possible partnerships. In the 2018 North American Staffing & Recruiting Trends Report: The Industry Outlook for 2018, Bullhorn reveals survey results of nearly 1,000 staffing professionals’ predictions for this year’s recruiting trends. One major focus of the report is technology’s potential impact on recruiting, from automation to digital staffing platforms. The latter has the potential to act as direct competition or as a low-cost talent source, so which one is it? Unfortunately, no one knows yet. Looking to respondents, 21 percent said they were optimistic about the potential to join forces with digital platforms compared with 16 percent who feel digital platforms will spell disaster for staffing agencies. Similar to digital staffing, automation is viewed as either burdensome or helpful. 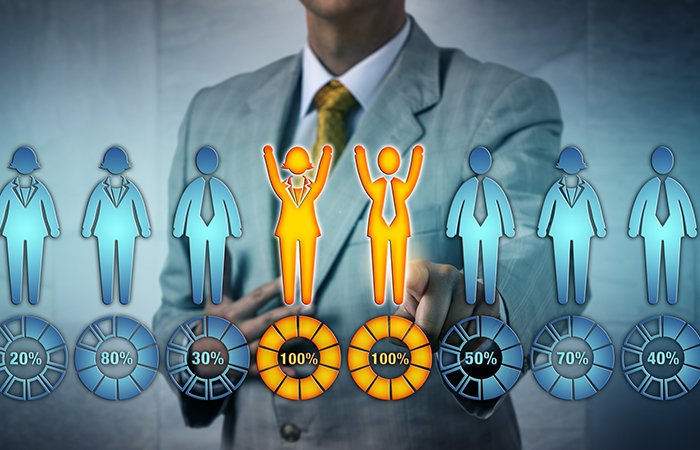 Bullhorn broke down recruiting automation usage into five categories: sourcing and initial outreach, screening and credentialing, client interviewing and selection, onboarding and candidate nurturing. A majority of respondents said that in their organizations, automatization is “somewhat” utilized in all five categories. It’s utilized to a “great extent” in onboarding with nearly one-quarter of respondents checking that box. “The staffing industry is at the earliest phases of adopting automation technology, but the learning curve is quick. Onboarding is a logical place to start, as many of the tasks are standardized. We expect to see a dramatic increase in the quality and quantity of tools available in the marketplace for every stage in the next few years,” said Matt Fischer, president and chief technology officer of Bullhorn. Perhaps the lack of enthusiasm about implementing automation is fear of the unknown. We receive mixed signals about automation and AI daily in the form of either a robot Armageddon or a peaceful, high-tech world filled with luxuries we can only imagine. None of us know how to feel about the digital takeover, which is reflected in responses to Bullhorn’s survey: 38 percent of respondents stated that automation will eliminate jobs and 38 percent stated it would increase jobs. Automation may also impact recruiting agencies’ clientele—respondents predicted the largest job reductions may occur in accounting/finance and industrial/manufacturing industries (38 percent and 52 percent, respectively). While no one can say how the digital age may impact us, we can say it will—so, it’s best to be proactive in times of uncertainty and remain ahead of the competition, be it robot or human. New report includes both bad news and good news for employers.